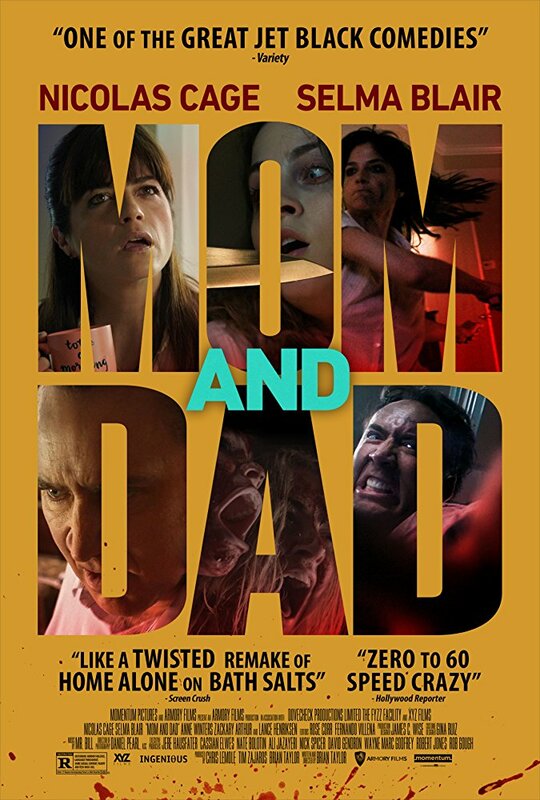 Here’s what you get when one half of the filmmaking duo behind the CRANK movies unleashes an inversion of the concept behind THE CHILDREN: here, an epidemic of ambiguous origin causes parents across America to literally want to kill their own kids. It’s a feature-length extension of all those fleeting, loss of control parental moments in which an empty but rage-infused “I’m gonna kill you” is threatened, and its subversive tone is set by a suitably disarming title sequence suggesting some forgotten 1970’s American sitcom-from-Hell. It’s also a brilliant, blackly humorous satire of middle-aged discontent: Nicolas Cage endures a miserable mid-life crisis and resents his kids for robbing him of spontaneous shagging in cool cars. Typical of the film’s unpredictable nature, a show-stopping sequence in which he sings the “Hokey Pokey” while destroying his beloved pool table shifts between a hilarious Cage-meltdown and a genuinely moving lament about how all of youth’s pleasures feel like they were four seconds ago. 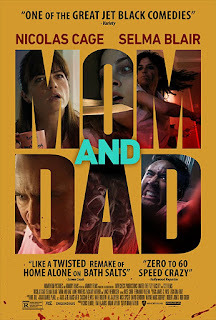 While Cage goes full-Jack Torrance (“Sawzall…saws all…”), Selma Blair makes a subtler transition from elegiac Mom into an authentic murderess, and the film unfurls a succession of grimly amusing / truly disturbing set pieces. Although there are astonishing scenes of both implied and overt horror at school yards and in maternity wards, the movie peaks with one of the more outrageous mainstream movie moments in recent history: a scene of near-infanticide set to Roxette’s “It Must Have Been Love”. Taylor cannily weaves pre-epidemic flashbacks into the narrative to provide a human core to the mayhem, and never lets the audience off the hook in a nervously funny infection movie for the paranoid ISIS-era, offering a reminder that none of us are incapable of committing the most unspeakable act of them all. Superbly shot by THE TEXAS CHAIN SAW MASSACRE’s Daniel Pearl.